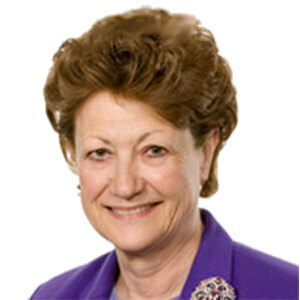 Dame Fiona Caldicott is currently Chairman of Oxford University Hospitals NHS Trust and in addition is the National Data Guardian for Health and Social Care, appointed by the Secretary of State for Health in England in November 2014. She is an Honorary Consultant Psychiatrist and was President of the Royal College of Psychiatrists 1993-6, and Chairman of the Academy of Medical Royal Colleges. From 1996-7 she chaired the Caldicott Committee on patient identifiable data and the National Information Governance Board from 2012-13. Since then she has chaired the Independent Information Governance Oversight Panel. She was made DBE in 1996 for services to medicine and psychiatry. Dame Fiona was also Principal of Somerville College in the University of Oxford from 1996-2010, and a Pro-Vice-Chancellor from 2002-10.